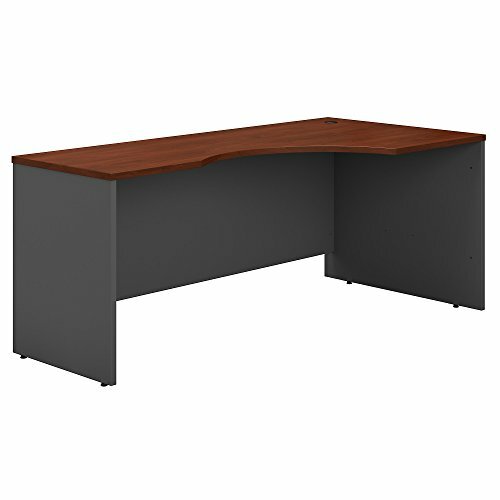 The Bush Business Furniture 48W Corner Desk maximizes your small office space with a convenient design and commercial-grade quality. 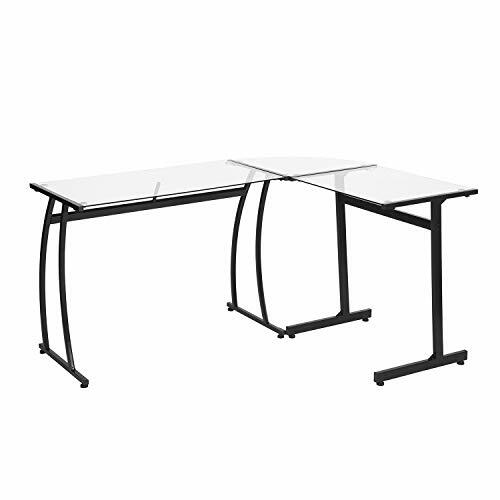 Ideal for use in a corner, the Desk provides a comfortable curved work area, and a C-Leg design creates plenty of legroom. A scratch-resistant thermally fused laminate surface and thick end panels fend off damage, while sturdy feet with adjustable levelers ensure stability. Keep your cables in order with a comprehensive wire management system. Expand your work surface with coordinating Series A Desks, and add a Hutch, Keyboard Tray or Pencil Drawer (all sold separately). Series A completes your multi-person workspace, classroom, home office or anywhere in between with a variety of layout options. Featuring 7 attractive two-tone finishes and contemporary styling, this commercial office furniture adapts to your surroundings. Customize any environment with a full line of affordable products, all backed by a 10 Year Warranty. Series A withstands the rigors of a 40-plus hour week and meets ANSI/BIFMA quality test standards. American made with U.S. and imported parts. Roomy, comfortable and commercial-grade. 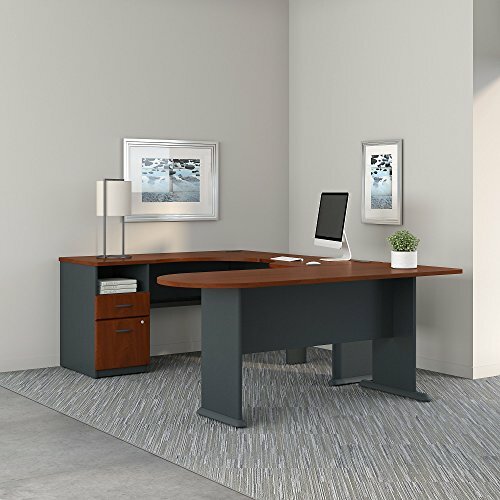 The Bush Business Furniture Series C 72W Left Handed Corner Desk provides a lasting professional appearance with clean lines, an extended modesty panel and heavy-duty construction. A comfortable, curved design invites you to lean in and get to work, while a thermally fused laminate finish fends off scratches and stains. Thick end panels and rugged edge banding ensure continued commercial quality. Spread out with paperwork and devices on the spacious 72W surface while concealing cables in an integrated wire management grommet. 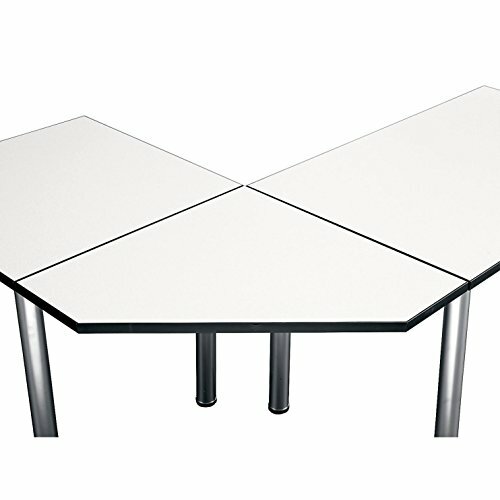 Use the Left Handed Desk on its own or attach to matching Series C products to create L and U Shaped configurations. 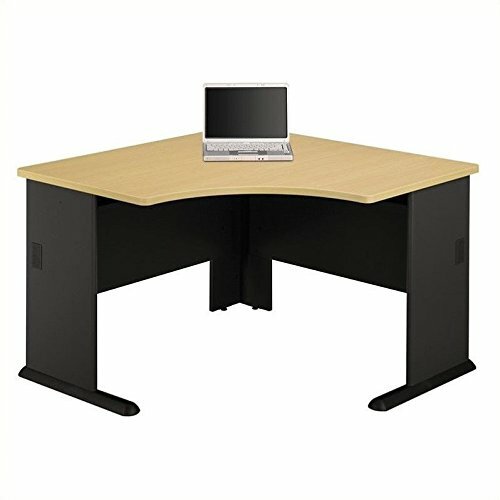 Add a Hutch, Keyboard Tray or Monitor Arm (all sold separately) to complete your office. The options are endless with Series C. Backed by a 10 Year Warranty, the collection withstands the rigors of a 40-plus hour week. Multiple layout options and 7 finishes meet the needs of numerous workspaces. Series C evolves with your preferences, allowing you to reconfigure your office as required with a complete line of coordinated products. American made with U.S. and imported parts. 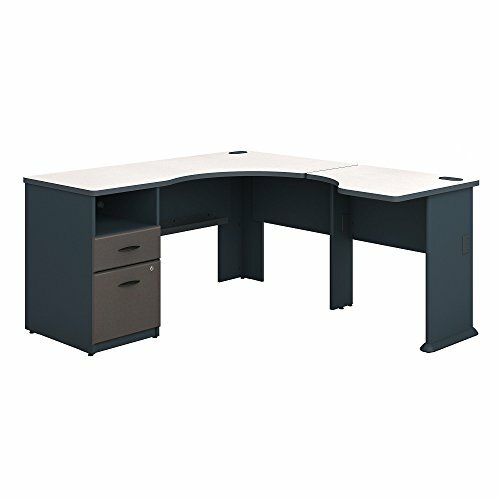 Work in comfort with this roomy Bush Business Furniture Series a L shaped corner desk. Lean in and get to work on the convenient curved surface while enjoying loads of legroom from the open C-Leg design. Maximize your office space by setting the desk up in a corner, and keep cables out of your way with a comprehensive wire management system. 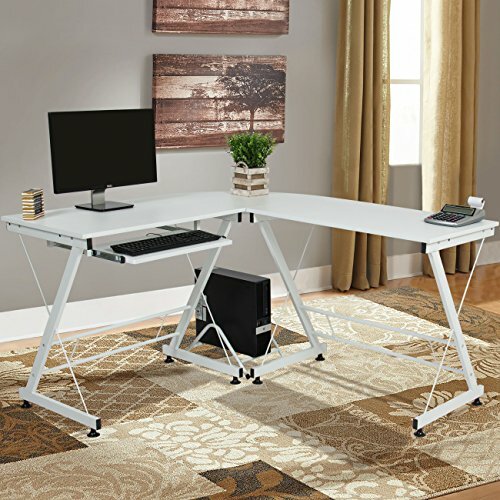 The L shaped desk configuration offers ample room for you to spread out and multitask. Store current projects in an open cubby and office supplies in the box drawer. A full-extension file drawer holds letter, legal and A4 documents while gliding on smooth ball bearing slides for an easy reach to the back. The L shaped desk has a scratch-resistant thermally fused laminate finish and heavy-duty construction to fend off damage. Series a completes your multi-person workspace, classroom, home office or anywhere in between with a variety of configuration options. Featuring 7 attractive two-tone finishes and contemporary styling, this commercial office furniture adapts to your surroundings. 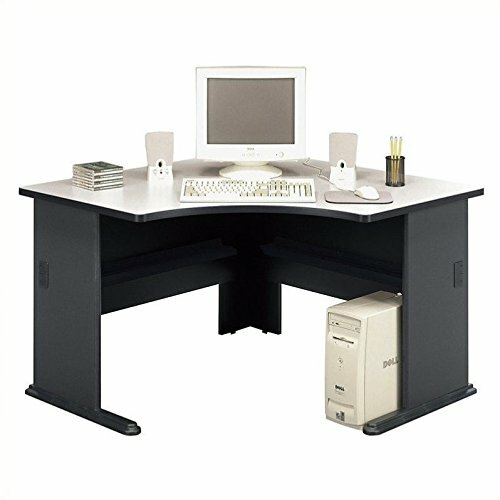 Customize any environment with a full line of affordable products, all backed by a 10 year warranty. Series a withstands the rigors of a 40-plus hour week and meets ANSI/BIFMA quality test standards. American made with U.S. And imported parts. 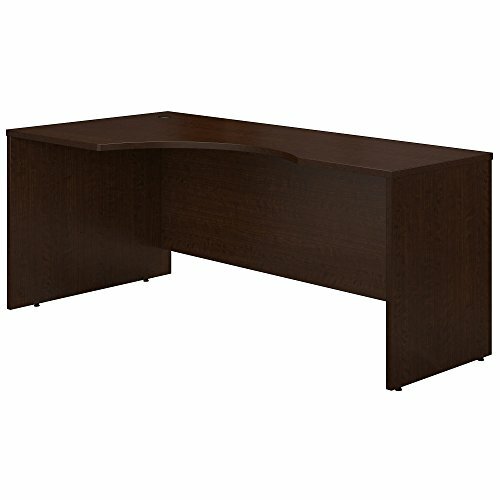 Shopping Results for "Modular Corner Desk"